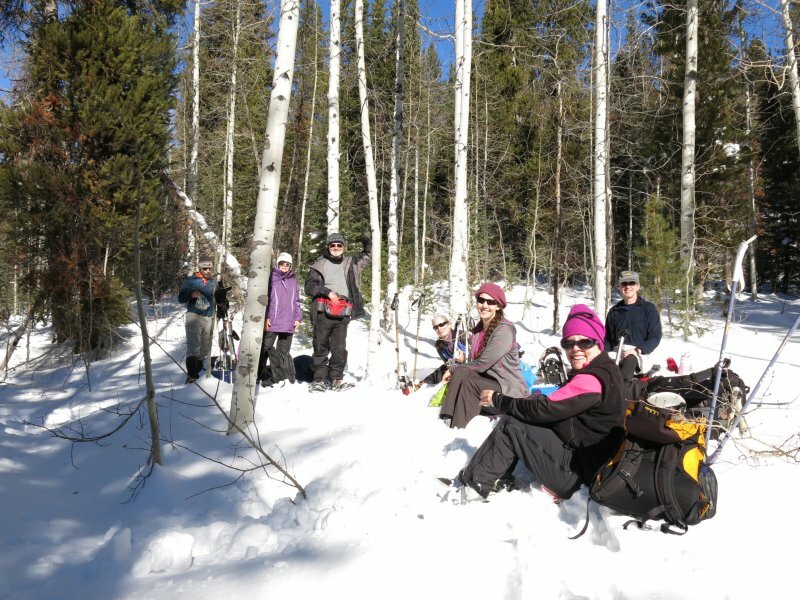 Twelve Cache Hikers enjoyed a great day in the sun on one of our favorite winter outings: Dave P., our leader, Dave W. and Christine were on cross-country skis, Pam used alpine-touring gear, while Tim, Jeanne, Alex, Stephanie, Nick, Kathy, Susan and Alexi used snowshoes. The group assembled at the Smith's parking lot, as usual for all of our trips. We organized into carpools for the drive up Logan Canyon, parked at the Sink Hollow Winter Trailhead and were on the trail by 11:00. This was a great day to be in the mountains, especially after experiencing nearly a week of Cache Valley's dismal winter inversions. There wasn't a cloud in the sky and the snow was fresh from last week's storm. Everyone quickly shed their outer layers to keep from overheating since there wasn't even a breeze to chill us. 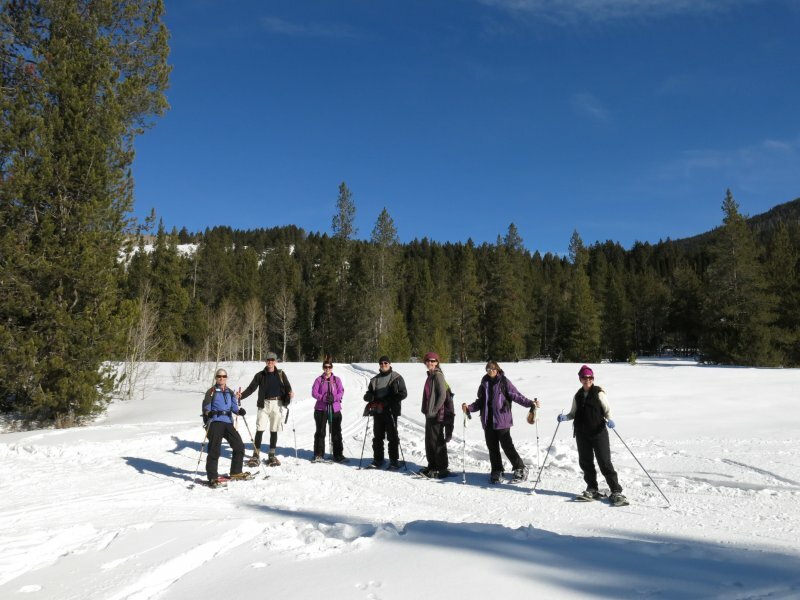 We also were pleased to find a freshly groomed trail for much of the way, thanks to the efforts of Nordic United. Our path followed the route of the summer ATV track as it gently climbed through open meadows and forest. 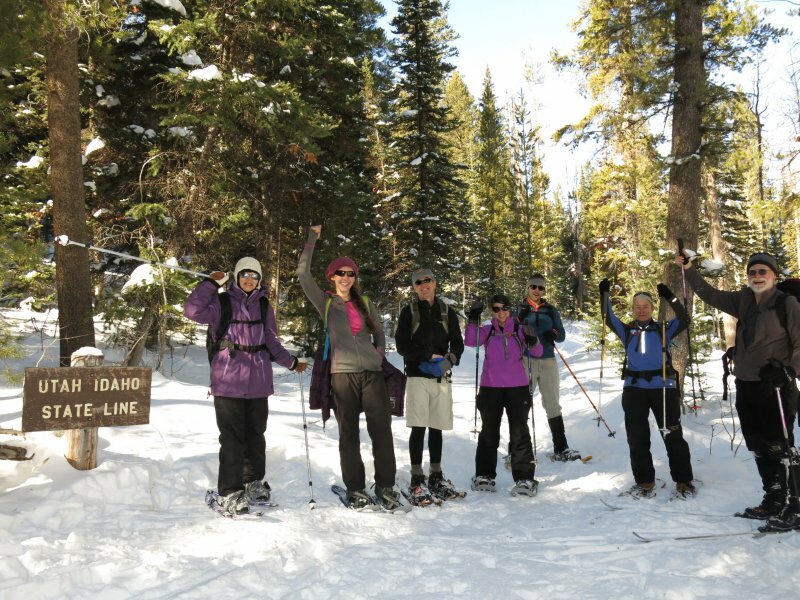 We gradually separated into two groups as we traveled up the trail. The front-runners arrived at the Sink for lunch and then went the short distance to the Idaho border at 1:00. 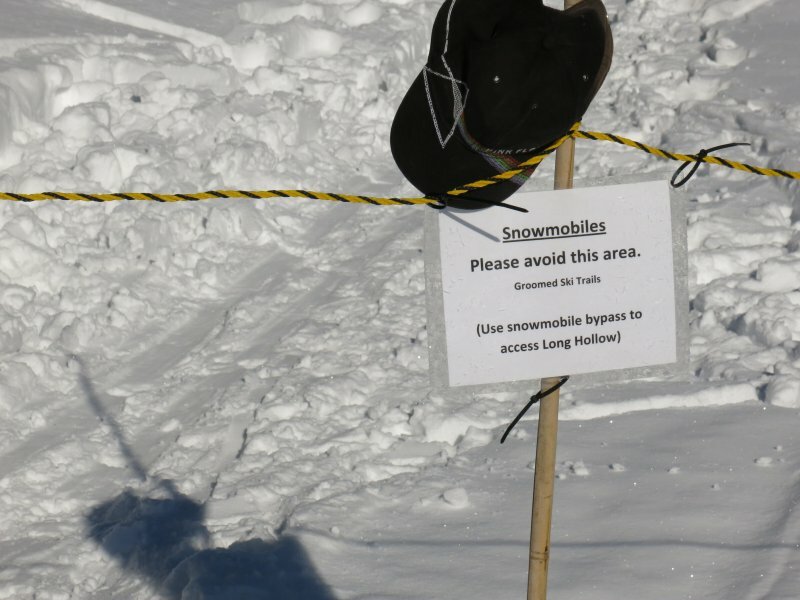 Of course the skiers were faster than snowshoers on the downhill return track, but they stopped periodically so the group could reform. 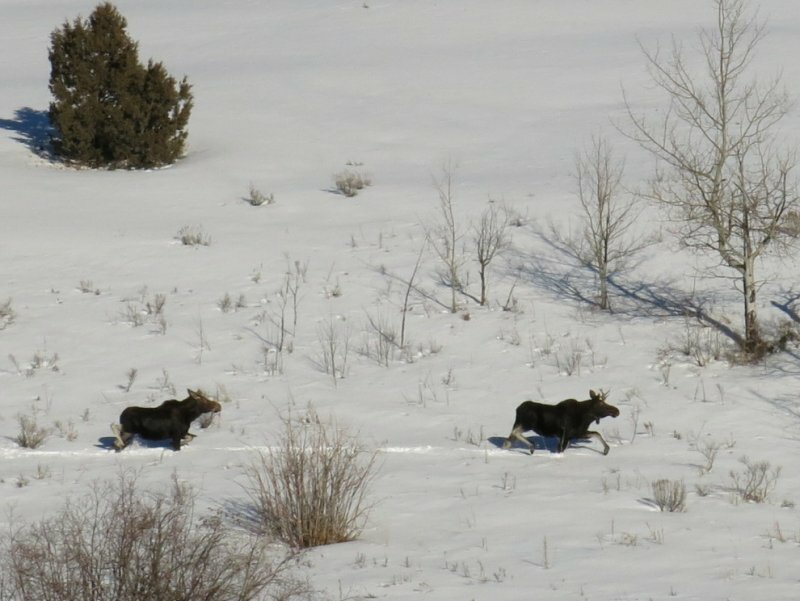 On the way back down Logan Canyon we spotted two moose on the hillside across the Logan River near Bunchgrass Creek. Our GPS track showed 4.2 miles with about 460 feet of climbing.